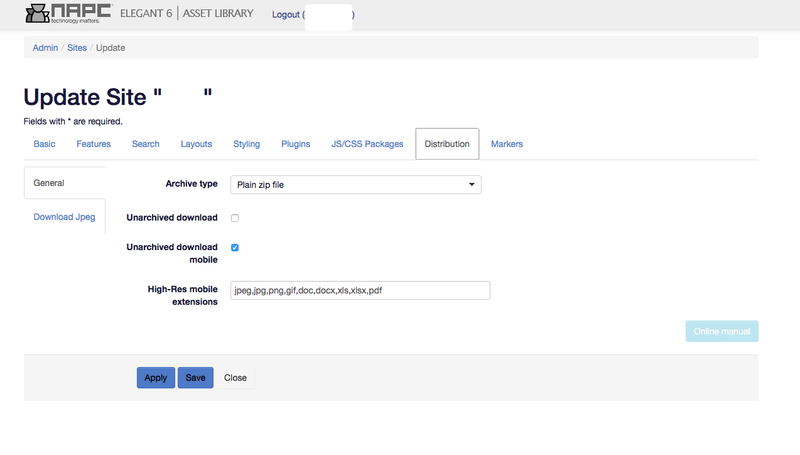 Archive Type - Choose Zip file format type for downloads. Unarchived download - Allow files to be downloaded without Zip file creation. Note: If turned on then Archive type will be ignored. Unarchived download Mobile - Allow files to be downloaded to mobile devices without Zip file creation. Note: If turned off then High-Res Mobile Extension will be ignored. High-Res Mobile Extensions - Comma separated list of extensions that can be downloaded on mobile platforms. 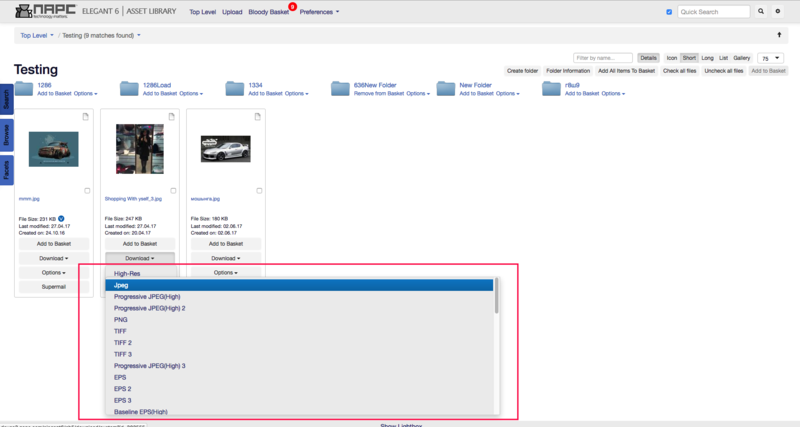 Nativeadmin can manage (create/modify/delete/publish) presets. Add your format's name to 'Title' field. If a Title is left blank, this will be automatically assigned (the same as "Format" field). You can use the "Toggle All" switcher to hide and unhide all rows. Active - If checked, enables "Download Jpeg" options where possible. DPI - Select resolution (pixels per inch) for downloaded file. Colorspace - Select desired colorspace for downloaded file. Format - Select desired format and quality for downloaded file. Dedicated user name - Specify a user who has "Custom image order" access to be used for Jpeg downloads. 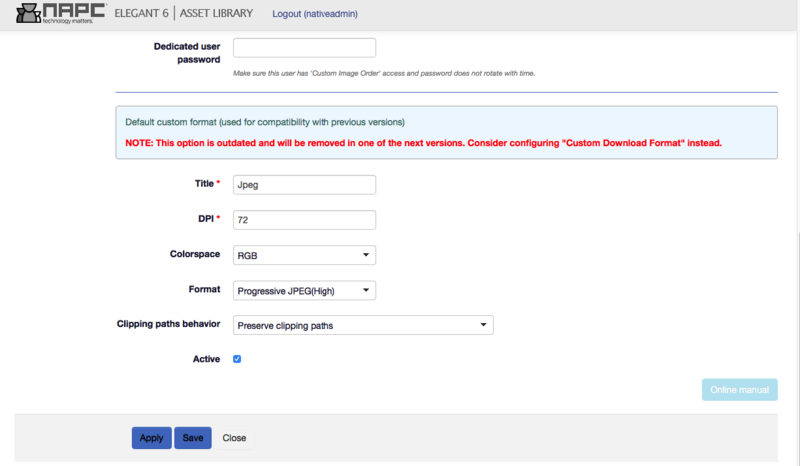 Dedicated user password - Specify a password for user who has "Custom image order" access to be used for Jpeg downloads. Note: if dedicated user does not exist or credentials are incorrect or he has no access to "Custom image order", clicking on download jpeg link will show "Invalid link" message. When done, hit Save to return to the Sites menu or Apply and go to the Next tab.